Tuscan Themed Outdoor Kitchen w/ Earth Stone Pizza Oven and Fire Pit w/ Water Feature » Custom Outdoor Pizza Oven with Earth Stone model 60 pizza oven kit. 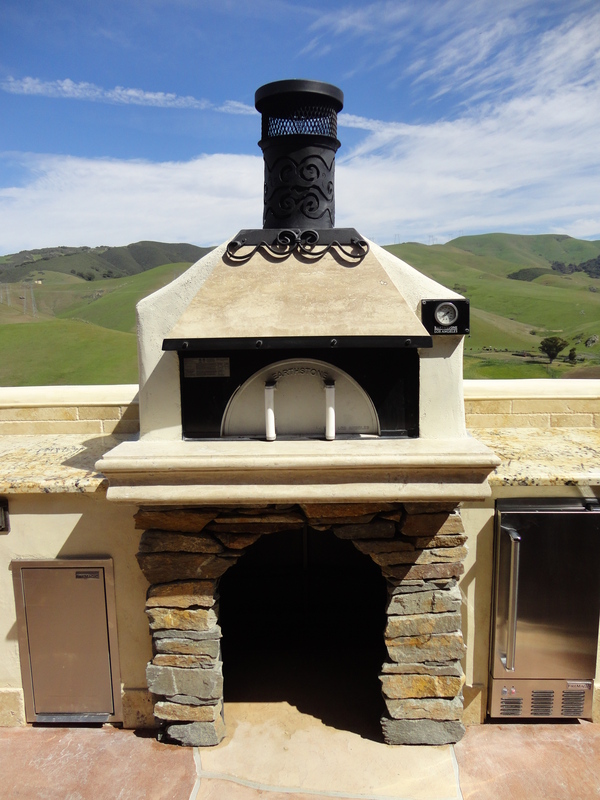 The base of this pizza oven features Hy Desert Ledge Stone. It as a Custom Travertine mantel and hood assembly. The top of the dome has a lace stucco finish. Finish with a custom high temp powder coated chimney cap and housing. This entry was posted on Thursday, May 30th, 2013 at 5:58 pm. It is filed under . You can follow any responses to this entry through the RSS 2.0 feed. You can leave a response or trackback from your own site.